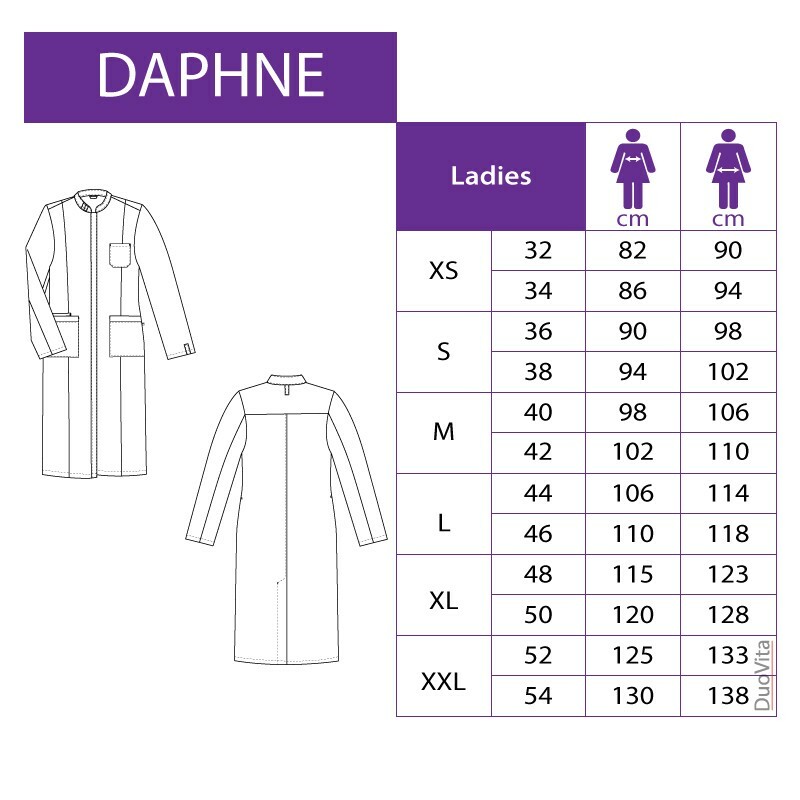 Ladies Lab Coat Daphne, completely white doctor's coat or lab coat with long sleeves. 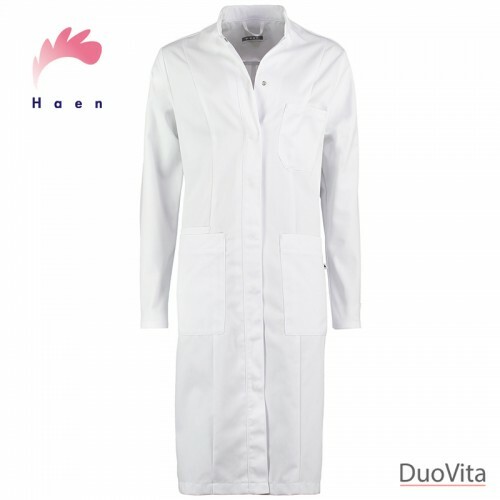 White ladies lab coat with long sleeves. 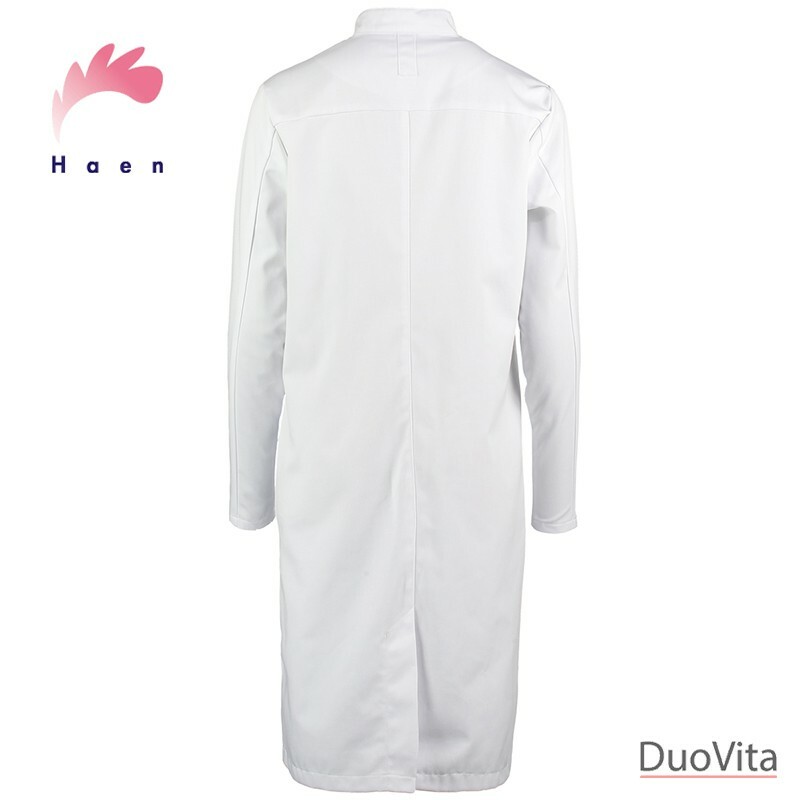 The coat has a slightly body hugging shape and is approximately 41" (105cm) long. Lab coat Daphne comes with a stand-up collar en sealed press studs for a clean and neat finish. A generous split in the back to allows ease with walking. Additionally to the chest pocket and two patch pockets Daphne provides has an extra pocket for your cell phone. 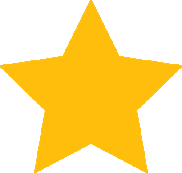 Haen represents with their Trend Line many years of experience in functional and high quality work wear. Comfortable to wear and easy to clean.